1. This product is currently only in stock in our UK,BEL AU warehouse. For customers from the above areas, your printer will be shipped from oversea warehouse directly. If it is out of stock, your printer will be shipped from China.there will have remote charges if shipping address is remote. 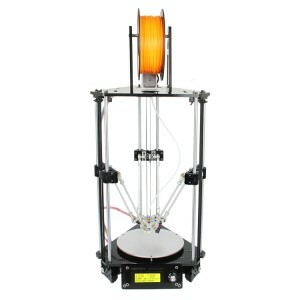 This Prusa I3 A pro 3D printer is streamlined and optimized based on the previous Geeetech Prusa Aluminum I3 3D printer. 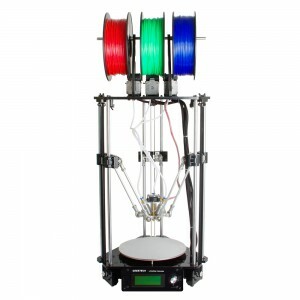 This Prusa I3 A pro has the following features. 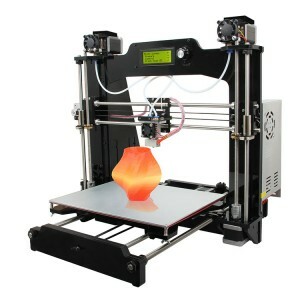 Compared with the box-type printer, Prusa I3 3D printer DIY kit is more suitable for starters. All the parts are visible, and you can easy access to those parts. It is very convenient for for trouble shooting when you are using the printer. For more information, please visit wiki. Hi, Is it possible to get lead screw as spare (I can't find it on the accessory shop)? One of mine on my prusa I3 pro A is bent. Thanks in advance. 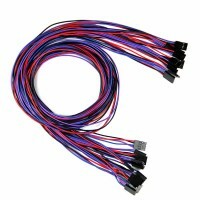 Hi Florian, Yes,of course,please email to victory.lei@geeetech.cn for help.He can sale any spare parts to you.Thanks. Hi I got my pack with a deformed aluminum plate on the heat bed, what is the solution ? Hi Hamed, You can email to:victory.lei@geeetech.cn for help.Thanks. Hi can I use GTM32 controller for this printer ? if yes what is the benefits in GTM32 ? any print quality improvement? 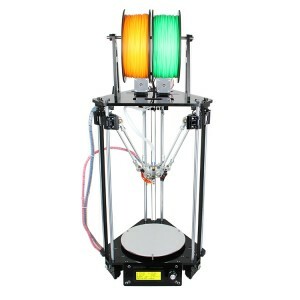 Hallo Ich habe mir vor ca.3 Wochen den Geeetech Prusa I3 A Pro 3D Drucker Bausatz mit 3 in 1 Box gekauft,ich bin Positiv überascht. Der Zusammenbau klappte durch die übersichtlichen Teile und die Youtube Tutorials ausgezeichnet. Nach dem Zusammenbau, neueste Firmware aufspielen und ersten Druck machen. Durch den, sehr stabilen Aluminium, Rahmen konnte man jetzt schon sehr brauchbare Ergebnisse erzielen Ich hatte zuvor einen Drucker mit Holzrahmen, der war beim druck permanent in Bewegung. Die 3 in 1 Box gefällt mir, mit am besten, da es keinen Kabelsalat mit offenen Stromanschlüssen gibt. Leider gibt es auch ein paar Sachen die mir nicht so gefallen positiv: Das GT 2560 rev. A+ hat schon einen Servoanschluss für ein 3D Touch Autoleveler leider ist dieser Anschluss nicht bis zur Druckerplatine durchgeführt, bedarf also einiger Bastelarbeit. Das Mosfet, für das Hotbed, wird extrem Heiss. Ich habe Abhilfe durch ein externes Mosfet geschaffen, das Teil passt in die Box. Das Hitzeproblem wurde dadurch gelöst. Als letzten Punkt, der Boxlüfter ist extrem Laut, läuft nur unter Volllast und kann nicht über die Platine geregelt werden. Abhilfe habe ich durch den Einbau einer Temperaturgesteuerten Lüfterregelung erhalten.Der Lüfter ist jetzt leiser, (nicht flüssterleise) und wird durch den Temperaturregler in der Drehzahl erhöht oder verringert. Da ich mir den Drucker nicht nur zum 3D Drucken gekauft habe,sondern auch um die Technik und die Zusammenhänge kennenzulernen bin ich durch den Aufbau und Umbau voll auf meine Kosten gekommen und ich bin sehr zufrieden mit den Ergebnissen. dove trovo il firmware per il 3d touch ? I bought this printer a few weeks ago and just want to say how impressed I am. The quality of all the parts, especially the aluminium frame, is really excellent. The kit was very carefully put together and all parts were present (one or two extras). Construction is certainly not simple but was a lot of fun. A bit of tweaking was required to get the z-axis to run smoothly from top to bottom. 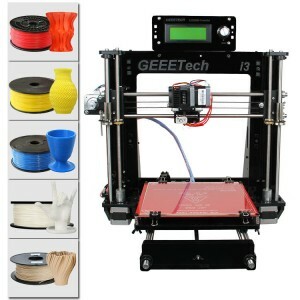 It has everything you need to get started, including a length of PLA filament - very helpful. 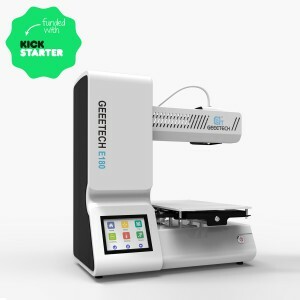 I'd just like to thank all the people at Geeetech for all the time and care you have put into the design of this machine, and creating the kit. I'm really enjoying creating things with this machine. Hi Julian,sorry for late reply.Thanks for your support of our company.If you have anything unclear,please feel free to contact me:jocelin.jia@geeetech.cn,I will help you.Thanks. just finished put together my printer, when i did try to move the axis no one respond to the box, kind lost what is going on, please help. 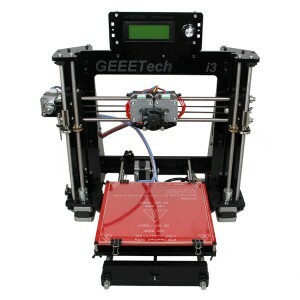 Hi William ,could you pls email to our technican for help:technical@geeetech.com? did you have the solution for your problem? im having the same problem. Do you have instructions on how to properly wire in the 3DTouch Auto Leveling Sensor to this unit? 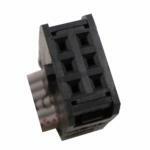 The current instructions on your site assume all the servos and limit switches are wired directly to the GT2560 and not through the breakout board used by the 3-in-1 3D control box. The Z Max limit switch on the breakout box is only 2 pin where as the 3D touch requires 3 wire. 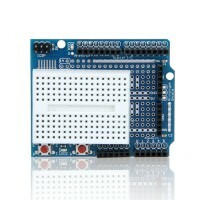 Can it be done with the breakout board or will I need to disassemble the 3-1 3D control box and directly connect it to the GT2560? Hi Shane, Not sure if you managed to get a response to this from the 'Technical' department (I certainly haven't so far). Ended up taking matters into my own hands and finding a workaround. I'd be happy to help you if you still need it. Now struggling with firmware, where the probe positions are being ignored, and the Z axis just runs itself into the ground. I bought this printer around two months ago and so far I've been very satisfied with it. However, I would like to add cooling fan because I faced some problems with bridging gaps and printing overhangs. Can you please assist me here? What kind of fan do I need (2-wire or 3-wire w/ PWM)? What port on the control board do I need to plug it in and how do I integrate it with my slicer (Simplify3D)? I really love my new A Pro printer, I have probably 300+ printing hours on it already within a couple weeks. It has run almost non-stop without a single problem. I must admit I still have a lot to learn about printing and print quality but this little unit its been a trooper so far. Be forewarned that building could be challenge especially if your not mechanically inclined, but i think there is plenty of documentation with the unit, on the Geeetech Website, Youtube etc to get you through it.I am impressed with the quality for the price I paid. Right now I am about half way through a 53 hour printing project and not a hitch. My comments come from me being a first time 3D printer owner but I do have a whole shop full of CNC Milling, Plasma and turning equipment. I would confidently buy another one or refer a friend. I did switch Cura as a slicer because it seemed more strait forward and less complicated to me. I started with Slic3r but changed the wrong thing or something and couldn't get it to go back to the original and it was doing terrible things in the slicing department. Cura made all the difference me being the beginner I am. Hi Ron,glad to hear that you like this printer and thank you for your feedback here. so in the midst of getting my i3A pro set up to run the z axis is not cooperating tried severl things rods bent? threads? everything seems ok what the trick? Hi Andras ,could you pls list your problem by detail with some picture to my email :zina.luo@geeetech.cn? I had the same problem and have read were others are seeing the same issue.I found that the stamped steal Z Axis guides and the Z axis motor mounts are not perfectly square when all items are tightened. I losened the 4 screws that hold the threaded brass mount on both sides till it could self level as the threaded rod turns. This fixed all the jitters and the sticking problems. Hi Dean ,glad to hear that and thank you for your feedback. 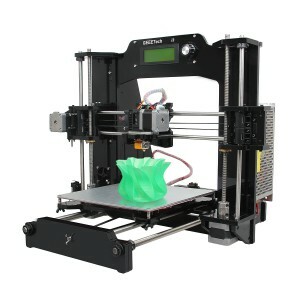 Hello..... wich version of GT2560 card is included with this printer ? REV A or REV A+ ? 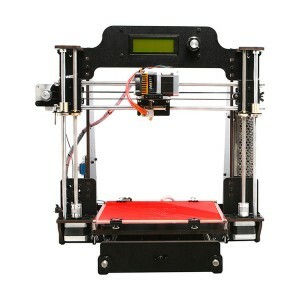 Hi Philippe,the GT2560 board on the A pro printer is the REV A one. 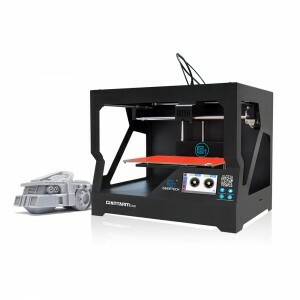 Hey, I also want to order the printer from the Eu warehouse, I already sent a mail to you. :) But I have a question, is an extra glassplate for the heatbed needed? thanks for your help. Hello Fabian， thanks for your enquiry. I am sorry to tell you that there is no glass attached to the printer. if you need the glass, you can order one, we can send from china. 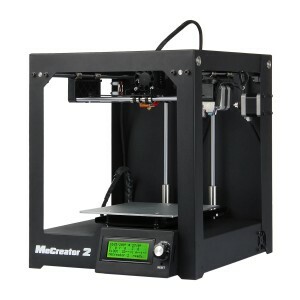 Do you have this printer in EU warehouse? I have to pay custom taxes to buy it in Italy? yes, this printer is in stock in EU warehouse now. Please contact our sales(sales@geeetech.com) asap. 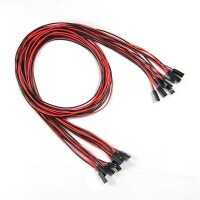 Does this kit include the auto level sensor? What kind of threaded rod is installed on the printer ? normal or trapezoïdal ? it is the normal one. From building manual and details list (as included in that manual) it looks like aluminium plate for hotbed is not included. Does one need to buy it separately or is it included after all? It is included. NO.A6, Y building platform, please check again. Hi, I need to order the Driven wheel and ball bearing for X belt (Part ID No. 38 & No.36) but I cannot find it anywhere here, can you help please ? yes, of cause. But there may not holes for the extension board, you will need to make one or two. is it possible to put an auto-leveling systeme on this printer ? yes, it is possible if you know how to do it. can I have it ready as dual extruder printer? what additional products should I purchase? is the installation the same? thx. Hello, What is your usual processing times when ordering this product? Thanks for the info Rita, and have a great day. 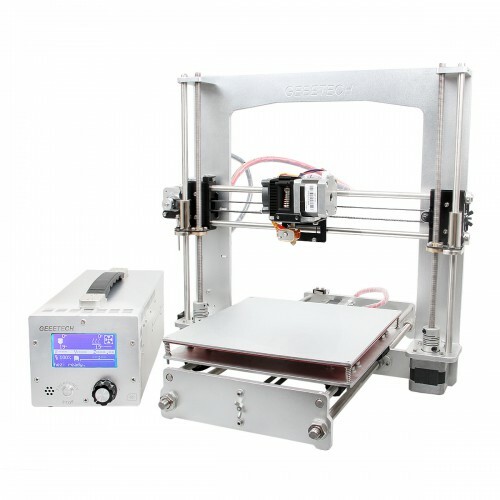 this printer can be upgrade to a mk8 dual printer? 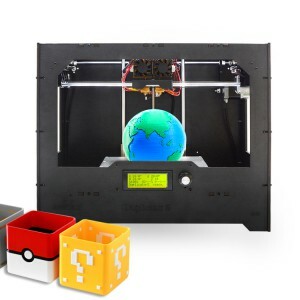 Hi, yes it can be upgraded to mk8 dual printer. What parts are needed to upgrade to the dual printer?